Wait, what did that commercial just say????? There is a new drug on the market to treat Restless Leg Syndrome. Maybe you have seen the commercial for this new drug on TV. I happend to hear the advertisement a few days back, and was vaguely paying attention (as I typically do with commercials) until I heard something out of the ordinary. So, why am I writing about this you ask? Because one of the side effects of this new drug to cure restless legs syndrom is.......an urge to gamble. An urge to gamble....is a side-effect.....of a drug used to cure strange sensations in one's leg????????????? What the hell do they put in these pills???????? My fall semester begins tomorrow morning. Maybe someone at the university would be able to show me the link between gambling urges and leg discomfort?? But I doubt it. Thanks to E-Speed for the pic!! Heading out of T2 I thought it would take me a mile or 2 to gain my running legs. After that point, my plan was to hold back for at least a couple more miles. Based on how I felt, I was planning to either pick it up between mile 3 and 4, or mile 6 and 7. My friends, there was no "picking it up." The run course consisted of 2 loops on the road, with the mid-August sun directly overhead. It was hot, probably around 90 degrees, and it was humid. I felt like the sun was zapping all the remaining energy I had. 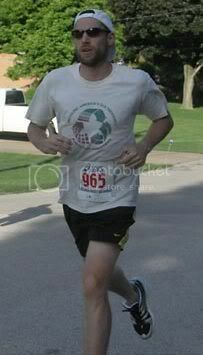 As I approached mile 3 I began to grow concerned as I was feeling worse and worse. My feet hurt. My thighs hurt. I felt bloated. Instead of feeling better after a couple of miles I was feeling worse. My plan was to run the entire course, other than the aid stations, where I would walk/eat/drink to my hearts content. Judging by the way I felt at mile 3 and realizing there was going to be no such thing as regaining my legs, I wondered if I'd have to do some walking out on the course. I didn't like that idea one bit. Luckily, by mile 4 my feet and legs began to feel uncomfortable, rather than painful. Also to my advantage, the sky had become overcast and no longer were we running in direct sunlight. The slight bit of shade offered by the clouds was probably the single biggest factor that kept the little man in my head, who was saying "this is too much, stop running now," to a whisper (as opposed to shouting) throughout the middle of the run. By this time in the race my mind was pretty numb. I was having trouble thinking about the specifics of my nutrition plan. For whatever reason, I no longer wanted to consider if it was time for a shot of GU, or a drink of gatorade. All of my thoughts were coming stride by stride. Every time my foot hit the ground I knew I was one step closer to the finish. Each foot strike meant one less foot strike that I had to endure. Miles 4 through 9 were passed this way. I would anticipate with dismay my foot hitting the ground, only to grow happy for a brief second after I picked it up knowing I had taken one more stride. The happiness was always short lived as my other foot was about to make contact with the pavement. I had moved from feeling like I was downright fading fast into sufferville, to maintaining a tolerable state of discomfort that I knew was coming closer to the finish line with each step. Then at mile 9 the discomfort grew worse. Foot Pain. Burning and tenderness on the balls of both feet. Leg pain. It was as if I could feel each and every muscle fiber in both legs, from my knee to my hips. Each and every fiber seemed to send me a warning, every time my foot hit the ground, that it would be in my best interest to stop. This warning.....the sensation that I felt in my legs is hard to describe. It is something like the "steady" burn that is felt climbing a hill on the bike....or sprinting with all you've got for a hundred meters, or those last couple of reps of a hard set in the weight room. Except, it was not a dull sustaining sensation. It was sharp, fast, and intense; and it coincided with my foot hitting the ground, so I knew when it was coming.....and my decision to run was the cause. Just as my nice little state of discomfort was being quickly replaced by suffering, I inquired at the next aid station about fruit. They had bananas and oranges on hand, and since neither water, gatorade, nor GU seemed to be stopping my tumble down the tubes, I went for an orange slice. And another. And another. And another. 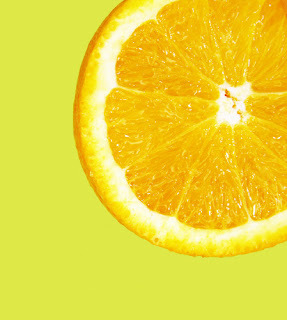 For fear of adding stomach distress into the mix I quit eating oranges before I had went through the entire bag. Those oranges were hands down the most delicious food I have ever had in my 31 years on this great planet. They were so good they got me to mile 10 just thinking about their flavor. Around mile 10, as the sweet taste of oranges began to fade from memory, I was passed by a woman who was just trucking along towards the finish. I knew that there had more than likely been a few women who beat me to the finish line.....with time to spare, but something in my brain was triggered to not let this young lady blow right by me. After traveling a mile or so down the road, I thanked her for pacing me in. We hit mile 12, and the sun came back out from behind the clouds. It immediately began to wear me down again. With a little under a mile to go to the finish, my stomach went south. Maybe it was the oranges, maybe the sun, maybe I need to tweak my nutrition plan (which never included oranges...or gatorade) but I had 2 options as I approached the finish line. Run to the finish....and maybe see what exactly is in someones stomach who has been living on energy gel and sportsdrink for half a day; or walk. So I walked, for the first time that I was not at an aid station. It was all of, maybe, 75 yards, but I was indeed, walking. Off went the woman who paced me over the last 5K or so. I didn't want to throw up on her....i figured I'd just let her beat me. At this point, I at least knew that I'd cross the finish line in under 6 hours. After my stomach settled, I began to run towards the finish. I thought I'd get a burst of energy knowing that I was done, but I did not. Right before the finish line I took one last sip of water and even the idea of being done with this damn run couldn't get me moving fast. As I ran the final few yards of the race, I heard a familiar voice begin to yell, "Brandon!!! You just did a half-ironman!" Then I saw Treetop and Julia off to the side of the course and I knew a cold beer was in my future.....and my race was over. Despite the fact that I could get nothing going on the run, I am quite happy with the result. If I would have layed off a bit on the bike, might I have made up some time on the run? Maybe. If I would have a better taper plan, might I have felt better on the run? Quite likely. Could I have trained a little differently. Absolutely. Would changes in my training improved my time? Probably. I suppose a late season half next year will help me to answer these questions. One thing is for certain....I need to increase my running mileage. After the race, my support crew drove me home and then we proceeded to stop at the winking lizard where I ate a giant burger......I think they called it the pounder (sorry vegan peeps and poor cow), accompanied by a delicious white Ale. I picked up a pint of Ben & Jerry's Everything But The...on the way home....and I slept. Soundly. 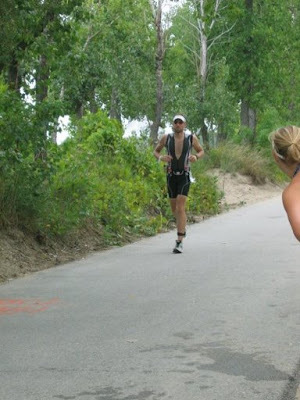 I would never have embarked on the journey to complete this race if I would not have been able to follow so many folks IM journeys through the tri club and here in the blogsphere. All of you inspiring people know who you are. Thank You!! And a big congratulations to Charlie, who finished Ironman UK today, his first IM, in 14:35:25. He had a HUGE negative split on the run. Impressive! I finished the 70.3 today in just under 5 hours and 45 minutes. The swim was peaceful, the bike a bit uncomfotable, and the run was pretty painful. I just took my feet out of a tub of ice and there is a brew next to me on the table. It was a great event and a great day. I am so tired that I had to pass on a party this evening...yes, it's true. I'll have more to say about the events of the day after I get some rest and regain my wits. 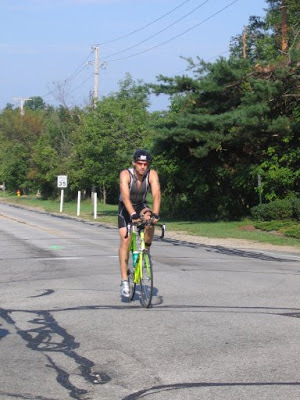 One more day before the Greater Cleveland Triathlon. I haven't felt great during my taper. My joints and muscles were sore and stiff throughout most of the past couple of weeks. I really learned what it meant to warm-up prior to excercise, as it would take me a good half hour or more to feel loose on all my runs and rides since I cut back on the workouts. This whole taper experience would have me feeling a little nervous about tomorrows event if it weren't for one spin on the bike. On Wednesday, my last workout with Amaterasu before GCT, I felt great. It was a beautiful, sunny afternoon. It was hard to turn around and head for home after just 45 minutes. The Yonder Mountain String Band was piping through my headphones, as they just followed up Keller Williams on my MP3 player. Maybe you remember the Acoustic Planet tour? Check out 8/28/04, from Nashville, Tenessee! Perfect accompanyment to a sunny day spin on the bike (assuming you like banjo's)!! Last night I volunteered at the first "running" of the burning river 100. I spent a little time at mile 50 early in the night, and then spent the wee hours of the morning at mile 91. E Speed ran an awesome aid station that was well organized and had the coolest music this side of the border. The event started in Willoughby Hills on the eastern rim of the Cuyahoga Valley at 5:00 a.m. Saturday morning and finished in downtown Cuyahoga Falls. Runners had a 30 hour time limit to complete the 100 mile course that traversed the most scenic portions of the Cuyahoga Valley National Park, The Cleveland Metroparks, and the Metroparks serving Summit County. What can I really say about a 100 mile footrace? I suppose words can't do justice as to what an accomplishment it is to race and complete these types of events. One observation that I took with me are that I have never seen people pushing themselves to such limits. At mile 50 there was a gentleman that was trying to change into dry shoes and needed help putting on his socks. He couldn't get them on straight and a motherly volunteer helped him get them on. He still had 50 miles left in the race. This sort of thing is pretty common. The faces of the runners as they passed through mile 91 (I was there from 1:00 a.m. until 6:00 a.m.) are embedded in my brain. Those faces of pain, determination, and occasionally, happiness. How could someone be making jokes at that point, I have no idea. But, some of the runners did. One runner, in particular, stands out in my memory. He hobbled into mile 91 feeling awful, telling us he needed to lay down. He was met by a friend that had paced him through other parts of the race, and she sat with him for over an hour making sure he stayed awake and offering to pace him to the finish if he felt up to it. His stomach was in terrible shape and although he needed food the thought of eating was the last thing on his mind. Finally, his friend asked us if we could make him a grilled cheese (I was the grilled cheese chef :-) So, I quickly batched up all that a grilled cheese has to offer. It was a delectable dish....2 pieces of bread, a little crisco, and a slice of American processed cheese product over the coleman stove. We delivered the late night snack to the ailing runner. About 20 minutes later, the runners friend emerged from the area of the cot, where her friend was laying, sprawled and ailing, with the words, "Congratulations, you got him to eat something!" We all cheered. But still he laid on the cot, and the longer he laid there, the more I began to think he would be there until the race was over, never to go those last 8.5 miles to the finish line. And finally, he arose. After running over 90 miles, stopping for what was at least an hour to lie down, he set off again in obvious pain. His friend left with him to pace him the rest of the way to the finish. We all cheered as he hobbled down the path in the pre-dawn light venturing towards downtown Cuyahoga Falls. We were still on the bottom of the valley and the finish loomed more than 8 miles down the path, but also about 1000 feet above us on the valley rim. Shortly after he left I returned to filling the water bottles and fetching food for the other runners passing through, and forgot about his journey. Each runner in this race was facing similar adversary, even if their bodies were cooperating better than his, this is not a pain free event for any of them. I though of the relationship ultra runners must have with their pacer, their friends who run with them through the night, many of them for 20 to 30 miles or more to help will them to the finish. I thought of the attachment the runners must have to their hydration and nutrition systems that they have wrapped around their hands, waist, or shoulders. These water bottles/stash pouches are full of their favorite food and beverage, and accompanies them through all of the tough training and racing miles. I think I know the joys of the right food and drink from my experiences of multi-hour bike rides.....but the joys of the right treats at hour 24 of a run I cannot even comprehend. As we rode to pick up her car she told me this was her friends first completed 100 mile event. He tried one previously and didn't make it. She told me how wonderful all the volunteers were and how happy she was to be able to share this day with him. I can only imagine. I could see how proud she was of him. I could see how proud she was of herself, staying up all night and logging quite a few miles in her running shoes by his side. I could see how appreciative she was of a grilled cheese @ 4:30 a.m. and a short ride across town. I couldn't have been happier to contribute these little things to the runners in this event. E Speed and the race organizers put in a ton of work for this. I stayed up all night doing very little, really. And today I walk away inspired by the human spirit, and inspired at how much the little things really can matter at the right time. For me, it was a night well spent. When I got into the pool for the first time last fall I was hoping to keep myself fit through a foot injury. I figured that if I learned how to swim well enough, I could try out a triathlon or 2 this summer and see what I thought of the sport. Well, I like it. As a matter of fact, I am hovering on the brink of addiction, and I have been flirting with the point of overtraining. A little over a week ago, on my last big brick (3 hour ride, 1 hour tempo run) shortly after the workout I spiked a nice fever and was aching all over and shivering whilst hovering above my plate of rigatoni. My body had reached it's breaking point. So, now I rest, and wait for August 12th. Thus far I have been recovering well (from the physical aspect), even if I have more pent up energy than I know what to do with. Well, I guess I know what to do with it......save it for GCT. 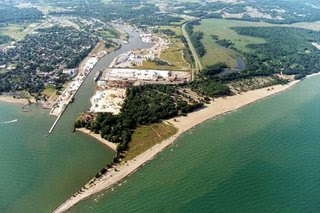 Swim training: January 18th to July 30 logged 48,200M (30.125 miles) in about 20.55 hours in the water. In October I could barely swim a 25M length in the pool. Finished up with 2000M "long" workouts. This experience brought me to realize the potential of the human body. 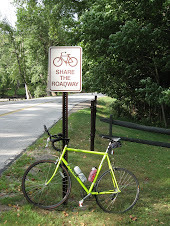 Bike training: Febuary 28th to July 29th logged 1327 miles in about 81 hours in the saddle. My strength of the 3 disciplines in terms of endurance (vs. speed). My comfort on the bike will be essential @ the GCT.